Declan Droney is an experienced Entrepreneur, business consultant and business mentor. 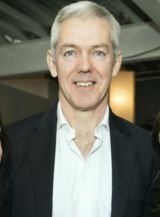 He works with Enterprise Ireland and a number of Local Enterprise offices, supporting start-ups and SME businesses. He is founder of one of Ireland’s best known, artisan food companies, Kinvara Smoked Salmon and is director of a number of other food businesses. Declan has worked with company’s in most food sectors and has exported to 35 countries. He holds a degree in Strategic Management and an MBA in International Marketing.